July 22, 2011 was the darkest day in Norway's history since Nazi Germany's invasion. It was one hundred eighty-nine minutes of terror--from the moment the bomb exploded outside a government building until Anders Behring Breivik was apprehended by the police at Utoya Island. Breivik murdered seventy-seven people, most of them teenagers and young adults, and wounded hundreds more. The massacre left the world in shock. Breivik is a new type of mass murderer, and he is not alone. Indeed, he is the archetypal "lone wolf killer," often overlooked until the moment they commit their crime. He has inspired others like him, just as Breivik was inspired by Timothy McVeigh and Theodore Kaczynski. No other killer has murdered more people single-handedly in one day. Adam Lanza studied Breivik's now infamous manifesto prior to his own unthinkable crime. Breivik was Lanza's role model, as he will no doubt be for others in the future who are frustrated with their societies, and most of all, their lives. 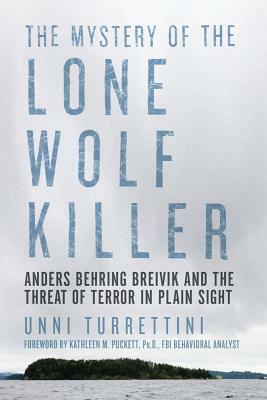 Breivik is also unique as he is the only "lone wolf" killer in recent history to still be alive and in captivity. With unparalleled research and a unique international perspective, The Mystery of the Lone Wolf Killer examines the massacre itself and why this lone-killer phenomenon is increasing worldwide.